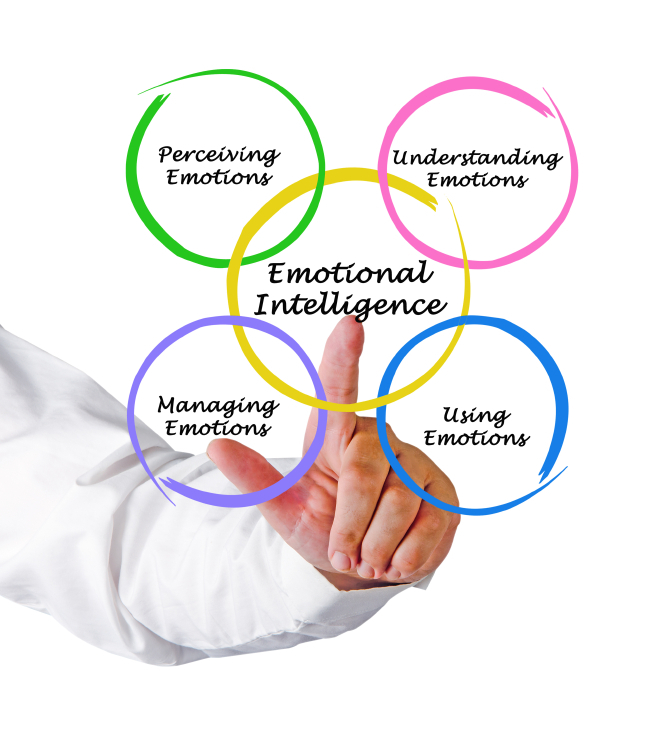 Emotional Intelligence (EQ) is the ability to identify, use, understand and manage emotions in a positive way. When it comes to well-being and success in the workplace Emotional Intelligence helps us to to stay calm under pressure and understand how our behaviour positively and negatively impacts others. It also helps us anticipate the needs of others, build good relationships and take responsibility and be accountable to ourselves and others. How many of us have worked with very smart but socially inept people who have very low self-awareness and who fail to see how their lack of Emotional Intelligence negatively impacts their relationships with others? The manager, who can’t motivate a team, is me focused rather than team focused or individuals who refuse to accept any feedback about their performance or are in constant conflict with others. Daniel Goleman, a psychologist and author of a number of books on Emotional Intelligence developed a framework to define Emotional Intelligence: Self-Awareness, Social-Awareness, Self-Management and Relationship Management. Self-Awareness, the foundation of Emotional Intelligence, is the ability to recognise your own emotions, understand and use your strengths and recognise your limitations. Observe your reactions to change. What seems to cause you to accept or resist change? Pay attention to how you feel during a conflict situation. What effect do your feelings have on your actions? Your words? Your tone of voice and body language? Next week, we will look at tips on how to increase your Social-Awareness.